The iPad Mini 2nd Generation, referred to by Apple as the iPad Mini with Retina display, doesn’t just feel like an upgraded iPad Mini, it feels like a totally different device. For many who are familiar with the iPad Air, the iPad Mini 2 feels more like a miniature version of that tablet computer than anything else. With similar features and capabilities as the Air, the iPad Mini 2 was launched with many improvements that fans had been asking for. While the iPad Mini 1st Generation did not have the Retina display of other newer Apple devices, the new iPad Mini 2 does, giving it the sharper, clearer images that many were hoping for in the earlier version. The iPad Mini 2 also includes the popular Siri technology for voice recognition. One of the updated interface options includes a 5-finger swipe to access the multitasking window of all of the installed apps as thumbnails. Users can also drag and drop icons to create related groupings. The notification bar is still easily accessed with one downward swipe on the screen. For typing on the iPad Mini 2nd Generation users can split the keyboard, but it doesn’t always break apart fully, making typing more challenging and slightly awkward. However, the Mini isn’t necessarily designed for heavy word processing so this isn’t a major complaint of most users. A larger annoyance among owners is that there still isn’t TouchID on the Mini even though it has the basic hardware capability to enable it. Those who bought the iPad Mini 2 for gaming or watching videos were not disappointed. The small size allows for easy handheld play, while the upgraded Retina display makes gaming a much more immersive experience. The 4:3 screen ratio means that some movies and streaming television will have the black bars across the edges, however the App Store has more than half a million apps that are specifically designed for the 4:3 screen. The iPad Mini with Retina display is faster than its predecessor because of the new Apple A7 chip with 64-bit architecture, as well as an M7 motion coprocessor. Apps open instantly and the internal storage has nearly doubled. The battery life has also been improved, which was a very welcome upgrade. The two speakers are located on either side of the Lightning connector port at the bottom, just like the iPad Mini 1st Gen, however the sound quality was improved. The only other input is the headphone jack at the top of the device. The camera has been upgraded slightly with a new light sensor, and there is an extra microphone for FaceTime with audio. The major software improvement for the iPad Mini 2 is not to do with the release of any new software, but rather with the improvements to the existing software which now runs faster and smoother. Apps from the App Store continue to increase the popularity of the tablet which is a bridge device for those looking for something that falls between a smartphone and a larger tablet. 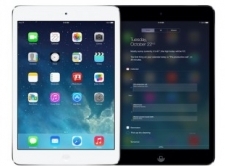 The iPad Mini 2nd Generation, like its predecessor, proves to be popular among consumers of all ages. However this makes the lack of the ability to create user profiles frustrating, especially for parents who like the convenience of simply handing over their devices to their children to keep them occupied. User profiles would make sharing the device safer and more convenient, but that’s a relatively small criticism in comparison to all that the iPad Mini with Retina display has to offer. The iPad Mini 2nd Generation is basically an original iPad Mini on steroids, and with Retina display thrown in for good measure. This device, as well as the iPad Air, were the two crowning achievements of Apple Inc. during this period and only the best online casinos will do these devices justice. The iPad Mini 2 is all about gaming, whether for real money or fun, or even the kind where you battle zombies or aliens – it is easily one of the best all-around handheld electronic devices that the world has ever seen. We here at MacCasino.net have tested dozens upon dozens of online casinos and are proud to make the following recommendations, broken down by geographic region. If you are located in the USA and looking to gamble online you will definitely want to try the Slots.lv Casino, which has a beautiful mobile product and is by far the best casino for the lightening-fast iPad Mini 2. Since Apple released this version of the iPad Mini with Retina display, we can only recommend casinos that were superbly built, and designed with high-performance mobile devices in mind. The Slots.lv Casino certainly fits this bill, and then some. Incorporating their own proprietary software alongside specially licensed casino games ensured that they provide a high-quality mobile casino for all those living in the United States today. Although there were a few finalists to choose from after conducting our research and testing, we can only recommend one online casino as the best. This honour therefore goes to the 32Red Casino, which is available to all those living in England, Scotland and Wales who want to gamble on an iPad Mini 2. Most of their software is licensed through Microgaming, who are an award-winning company that has won countless fans since their company was launched, and most gamblers would describe their mobile casino product as “flawless”. 32Red has been one of our favourites here at MacCasino.net for years due to their outstanding customer service and great bonus offers, and we are proud to promote them to our readers in the U.K. for the iPad Mini with Retina display. There is only one choice for those living in the Great White North looking to gamble on an iPad Mini 2, and that is the Bodog Casino, who are one of the best online casinos in the world today. They have married their own proprietary software with licensed 3rd party software to create an amazing mobile casino that never crashes – even if you’re playing in Whitehorse, Fort McMurray, or Iqaluit. 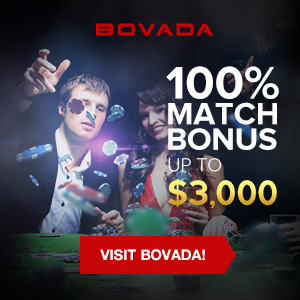 Bodog also offers tons of promotions and great player rewards, not to mention white-glove treatment for VIPs. They are definitely the best choice for iPad Mini 2 users living in Canada looking to wager for real money in an online casino.